Sarah Corbett, IS THERE A CONTEMPORARY VERSE-NOVEL IN THE UK? Peake’s ‘In Pieces’ on The Lewes Chessmen. In ‘Shadows: Riff against Plato’, Isobelle Armstrong creates a ‘shadow’ sonnet, shifting it sideways as if suspended in mid-air – a reflection on a reflection; Angela Consola Mankiewicz plays with a range of traditional forms within one poem; Robert vas Dias uses the light touch of the Korean sijo to evoke his North London neighbourhood and the American background of his youth; and Alastair McGlashan translates an ancient Tamil hymn, still sung in worship today. Many poems are thought-provoking. Luke Irwin, hanging about in the kitchen, wittily explores the murder of language itself. Joe Dresner’s prose poem, ‘A Second Bite of the Cherry’, echoes Ashbery and Hockney. Jemma Borg’s meditation ‘On Sleep’ raises the question of the borderline between poetry and essay, whilst Sarah Corbett’s essay explores the links between the long poem and the verse-novel. Alongside Robert Chandler’s translation of a Pushkin folktale, Lucy Sixsmith brings to life the raw experience of her gap-year in a contemporary Russian town. In his ottava rima homily to a South Yorkshire river, Paul Bentley pays homage to contemporary predecessors as well as to Horace’s associations with another river Don. Jacqueline Smith gives us a chilling ballad in the Scots dialect and Abi Curtis pays tribute to the legendary Mrs Beeton. Using a range of traditional and free-verse forms, Janet Sutherland continues her exploration of dementia and depression, while Oliver Dixon offers a surreal ‘meat-dream’ poem from a long-term vegetarian. We welcome all this variety from the ancient and the traditional, through to the hybrid and the innovative. Keep the poems coming in! 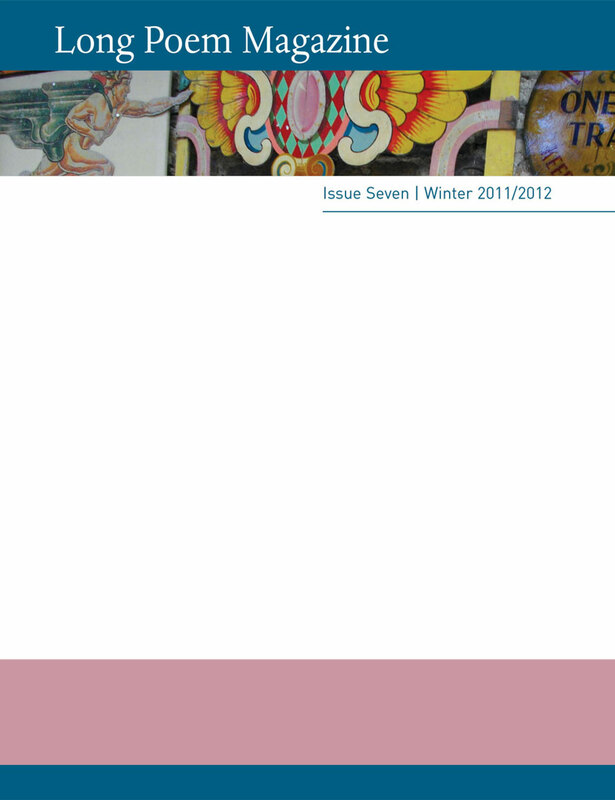 From now on our ‘submissions window’ will be shorter – the month of March for Issue 8. Take a look at our updated website, which includes photos of the Issue 6 Launch, courtesy of David Andrew, plus Robert Lunday’s list of long poems. Our reviews section is now accessible to all – for this issue we have reviewed J.O. Morgan’s Long Cuts (CB Editions, 2011). We welcome books for review, plus proposals for essays. Also on the menu are individual tutorials, offering detailed feedback on a long poem from one of the editors. We would also like to have your feedback – see our Forum page, or post your comments on Long Poem Magazine’s Facebook page.